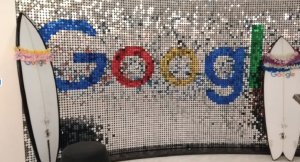 An exciting update for you all this week – I had a great experience hosting a roundtable at the Women in the Cloud Community in Google. What is Women in the Cloud Community? This was the first meetup of its kind in London, hosted by Google. 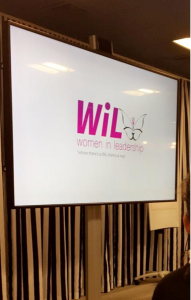 The purpose was to facilitate valuable connections with other women working in technology, as well as enable a platform for thought leadership in various fields. 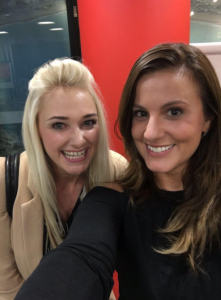 We had fantastic speeches on the evening, including one insightful piece from Grace Mollison – a Solution Architect at Google – on the value and execution of DevOps. We also got to discuss the opportunities the Cloud is unlocking for business, consumers and for our careers. A section of the evening was devoted to Women in Leadership, where we heard from Deborah Obaseki – the founder and director of the Women in Leadership Forum. She talked through how she built this forum as a place for young females to engage with established women in the working world. They bring current female leaders and the next generation of leaders together, encouraging young people to explore the realities and practicalities of leading in their industry as a female. I’m now looking forward to working more closely with Deborah, and volunteering at events to educate and inspire more young women on working in technology. Other roundtables available were on Cloud Trends, Challenges faced in the Cloud, DevOps, Digital Transformation and Development – well chosen and interesting topics I’m sure you’ll agree. After holding up my little sign for a while and hoping enough people would rush to join me, luckily (!) we got a large group of like-minded women wanting to discuss their experiences and inspire thought leadership. I opened up the forum with questions on how they had experienced change in the move to the Cloud, both on a personal and a business level. We had a diverse group of women (and men – who were very welcome!) in the group, ranging from business start-ups, to change managers, to IT Directors and security specialists. It was so great to hear so many similar trends throughout – whether it was global businesses engaging 1000s of users, or smaller startups deciding on the best tools for their teams. Change management was an underlying theme for the discussion, where we shared examples of fantastic engagement pieces which resulted in successful business change projects, to more disastrous projects where a lack of engagement at all levels meant for a rocky transition. Having such a myriad of people for different businesses and backgrounds in one discussion was such a great platform for showcasing how change management in the move to the Cloud should be the focal point of any transition! Avoiding engagement such as organisational analysis, communicating the need for the change, relevant training and everything in between could significantly hinder any success that the transition could hold – and it was great to see this recognised across the board. 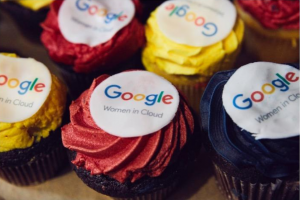 I can’t wait for the next Women in the Cloud meetup – I’ve met some valuable connections and definitely learned more about the inner workings of the Cloud – us!